Like Bitcoin prices shifting, so is Bill Gates-the founder of Microsoft who back in 2014 said Bitcoin is “used to buy drugs like synthetic opioid fentanyl” and the “anonymity of digital currencies meant they were linked to terrorist funding and money laundering” to admitting how transformational Bitcoin and cryptocurrencies have been especially when it comes to lifting people out of poverty. Though he has been criticized from time to time with some saying he is ill-informed about the “blockchain technology”, the billionaire is on the forefront, championing for poverty eradication through provision of easy to use and cheap financial services for the “unbanked”. And Bill is not alone. Morgan Creek CEO, Mark Yusko, has some nice words for Bitcoin and cryptocurrencies after years of critiquing the borderless currency. 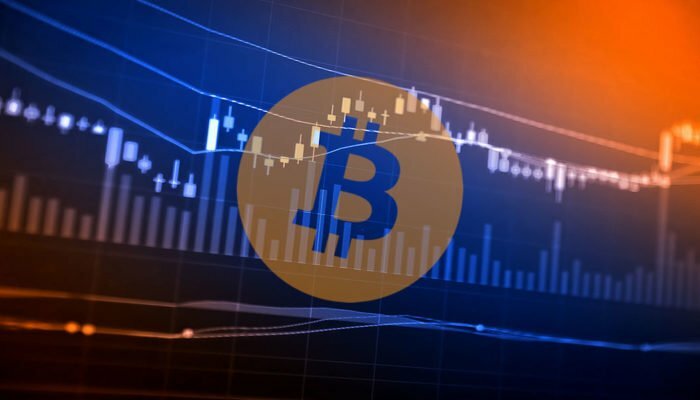 During a recent appearance at CNBC fast money, the CEO said that Bitcoin is a worthy investment in both the short and long term going to say those who invest in now can easily increase their initial capital 20X. 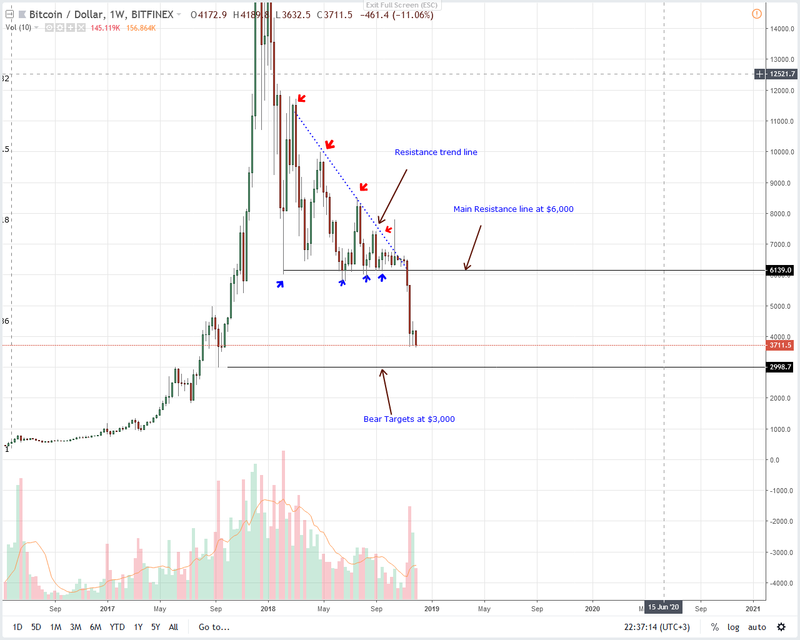 Although he retains a bullish picture on the long term, over the short term through to 2020, he expects BTC prices to be like a “melting ice cube”. Thereafter, prices will rebound once the FED fueled credit bubble “blow up”. Our previous BTC trade plans are pretty solid. Like before, BTC is bearish. But price recoveries largely depends on how bears react at Nov 2018 lows. 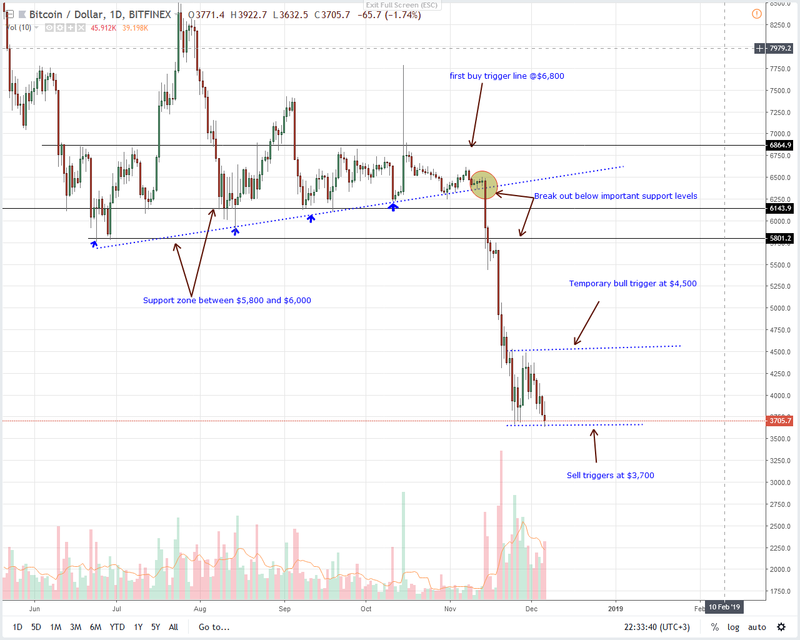 Because of the selloff in mid-November, BTC/USD price action is trending within an unconfirmed bear breakout pattern. The bad news is that history has it that more often than not, there is a follow through of such patterns and considering how BTC bulls are struggling against this sell off, odds are we might see a breakout below $3,640 or Nov 2018 lows. However, before that prints, we recommend patience and searching for buying opportunity once there are gains above $4,500 or last week’s highs. Here, the consolidation is on. However, none of our previous BTC/USD trade conditions are live. But is likely that there will be a breakout below Nov lows today. Unless otherwise there are solid gains above $4,500, sellers are firmly in control. In a bear breakout pattern, chances are slim for BTC bulls. Assuming there is confirmation of last week’s attempts of higher highs, then prices could explode to $6,000. 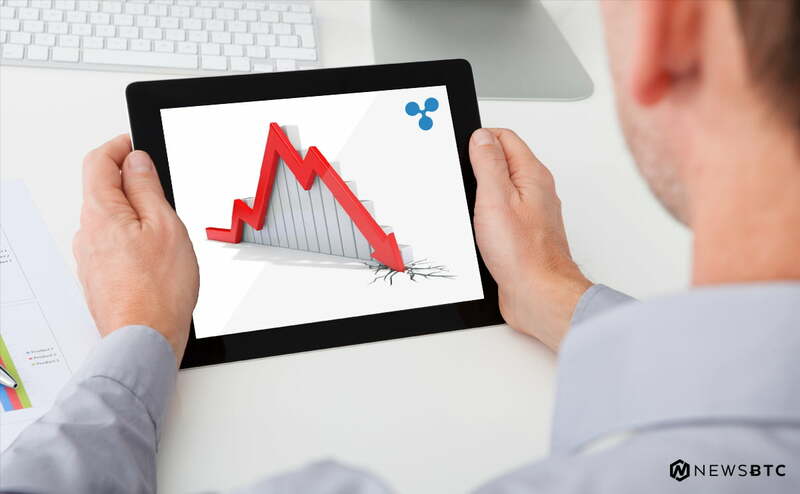 Conversely, trend continuations that will see prices capitulate below $3,640 could trigger panic sell driving prices to $3,000.